A completely refurbished three bedroom 'Gough Cooper' semi-detached house, situated in a desirable location. 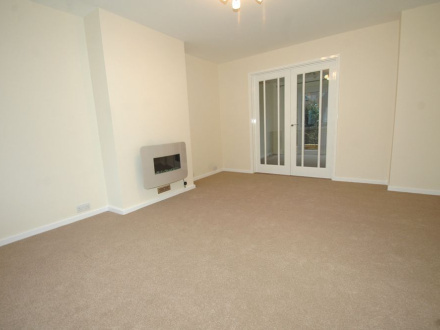 This property has been completely refurbished and offers good family accommodation. The property is within easy access of all local amenities and benefits from having a new kitchen, new bathroom, gas-fired central heating, and a solar electricity system. A completely refurbished three bedroom 'Gough Cooper' semi-detached house, situated in a desirable location. 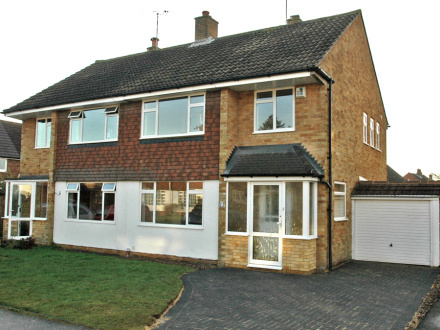 This property has been completely refurbished and offers good family accommodation. The property is within easy access of all local amenities and benefits from having a new kitchen, new bathroom, gas-fired central heating, and a solar electricity system. DEPOSIT A deposit equal to one month's rent is required against damage, loss and dilapidation COUNCIL TAX, WATER RATES AND ALL UTILITIES are the responsibility of the tenant The accommodation in detail, with all room measurements given to a tolerance of 3" (75mm) either way is as follows: ENTRANCE PORCH with U.P.V.C double-glazed opaque door and double-glazed opaque side windows. Personal light. Tiled floor. multi-paned timber door to: ENTRANCE HALL with double-glazed window to side. Stairs to first floor. Under stairs storage cupboard housing electric, gas and solar meter. Telephone point. Radiator. Fitted carpet. SITTING ROOM 14'8" (4.47m) x 12'3" (3.73m) with double-glazed window to front. Wall mounted electric fire. Television aerial lead. Radiator. Fitted carpet. 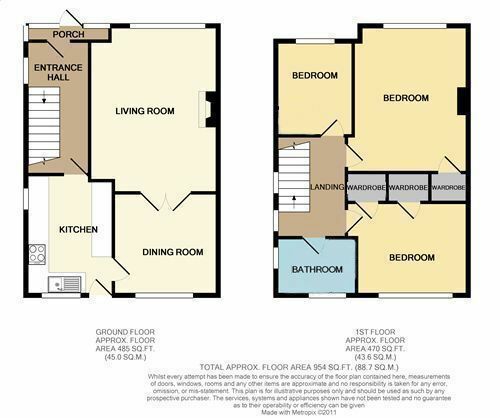 Multi-paned double doors to: DINING ROOM 10'1" (3.07m) x 10'0" (3.05m) with double-glazed French doors with side lights to rear. Radiator. Fitted carpet. 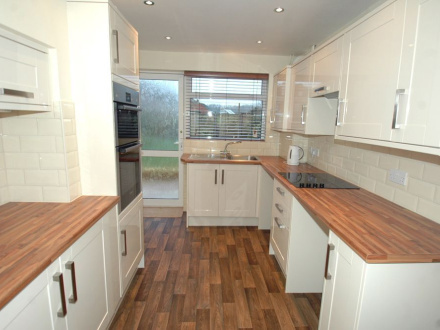 Door to: KITCHEN 11'7" (3.53m) x 8'1" (2.46m) (max) with a range of matching wall and base units with work surfaces over. Inset stainless steel sink and drainer. Part-tiled walls. Built-in electric double oven. Inset electric hob and extractor hood over. Wall mounted combination gas boiler. Space for upright fridge/freezer. Space and plumbing for washing machine. Space and plumbing for dishwasher. Double-glazed window to rear. Double-glazed opaque door to rear. FIRST FLOOR LANDING with access to loft space. Two double-glazed windows to side. Fitted carpet. BEDROOM 1 13'7" (4.14m) x 11'0" (3.35m) with double-glazed window to front. Built-in storage cupboard with hanging space and shelf. Radiator. Fitted carpet. BEDROOM 2 10'7" (3.23m) x 9'0" (2.74m) with a double-glazed window to rear. Two built in storage cupboards. Fitted carpet. BEDROOM 3 9'0" (2.74m) (max) x 7'5" (2.26m) with double-glazed window to front. Fitted carpet. Radiator. 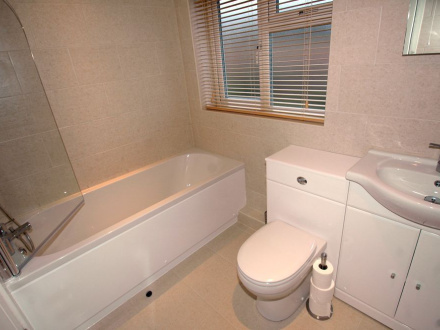 BATHROOM with white suite comprising: Vanity style wash hand basin. Low-level W.C with enclosed cistern. Bath with wall mounted hand held spray and shower screen. Dual aspect with double-glazed opaque windows to side and rear. Fully tiled walls. Heated towel warmer. Tiled floor. OUTSIDE GARAGE 16'4" (4.98m) x 7'8" (2.34m) with personal door to rear. Window to rear. Up and over door. Power and light. FRONT GARDEN which is mainly laid to lawn. Driveway providing access to garage and off-road parking.